GRAND CANYON, Ariz. – A young family from Las Vegas, Nevada, became Grand Canyon National Park’s celebrated “6 millionth visitor” during the park’s final National Park Service centennial event of 2016. This marks a record visitation year for the park, which saw just over 5.5 million visitors in 2015. 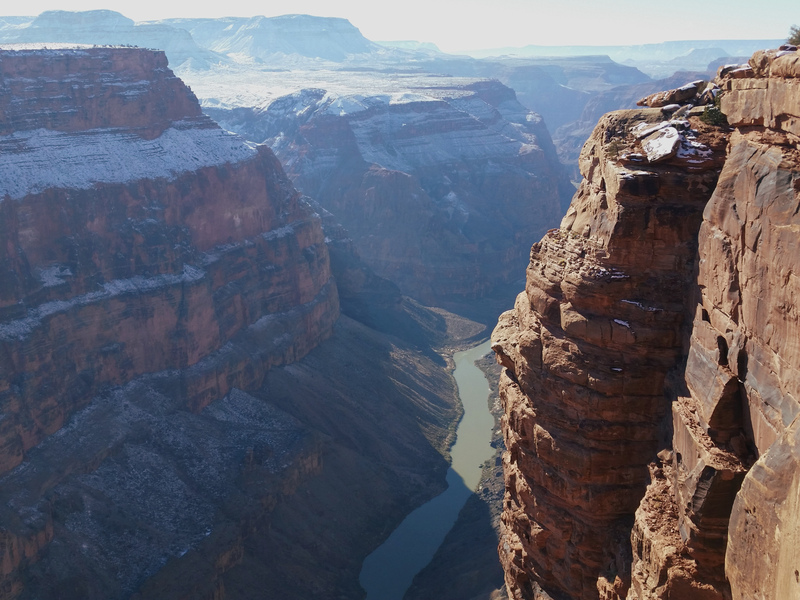 The distinction went to James and Abigail Johnson and their children, Sophia and Elijah, who were first-time visitors to Grand Canyon National Park, a park news release states. Grand Canyon’s celebrated visitors were greeted at the South Rim entrance station and led to the park headquarters where Superintendent Chris Lehnertz , park staff and community members welcomed them and presented them with gifts from Grand Canyon Association, Xanterra, Tusayan Chamber of Commerce and Bright Angel Bikes. Almost all Grand Canyon visitors are greeted by visitor-use-assistant staff at the South Rim, Desert View and North Rim entrance stations. On any given day, staff members may greet between 1,000-2,000 visitors. Iva Torivio was the staff member that had the pleasure of greeting Grand Canyon’s 6 millionth visitor. Torivio, who grew up in the Grand Canyon community, has worked as a visitor-use-assistant at Grand Canyon for the past 22 years and was very excited to be on hand to celebrate with the park’s 6 millionth visitors, the news release states. The visitors signify an exciting landmark for Grand Canyon National Park, which has seen a steady increase in visitation since 2011. This year alone visitation has increased by 7.5 percent with help from national campaigns like “Find Your Park,” a social media public campaign to raise awareness of the National Park Service centennial. Since its establishment in 1919, Grand Canyon National Park has received more than 200 million visitors. As the centennial year comes to an end, the Grand Canyon team is looking forward to its own centennial celebration in 2019 when it will continue to inspire future generations to be stewards of public lands. For more information about visiting Grand Canyon National Park please visit the park’s website. It’s a wonderful park and well maintained and I would like to thank all those involved in making this possible.